Background: Barreled Halloween, 2006 at 126.1 proof, Floor 4/7 in Warehouse L, 9 years old(almost 10). Private barrel pick by Modern Thirst and the Party Source. Nose: Caramel sweet bomb with high char notes, hints of apple, very faint bright floral note akin to a Four Roses; addition of water really brings out the citrus. Chocolate becomes more apparent after a few minutes of rest. Taste: Sweet heavy oak and char front that recedes into pleasant vanilla and caramel, bitter orange, cloves, and lemon; addition of water oddly makes the alcohol much more noticeable with a slightly astringent orange-chocolate predominance, with a lessening of the caramel and vanilla while keeping the heavy oak and char backbone, water somewhat enhances the similarities to some OBSV Four Roses single barrels. Rating: Strong 3.5/5 barrels. As much as we enjoy the usual Knob Creek Single Barrel 120 (long one of our favorites), this was a slight step above. Chris notes that for him, this is likely due to his enjoyment of sweet, caramel bombs tempered by citrus, not unlike an Ethiopian coffee. 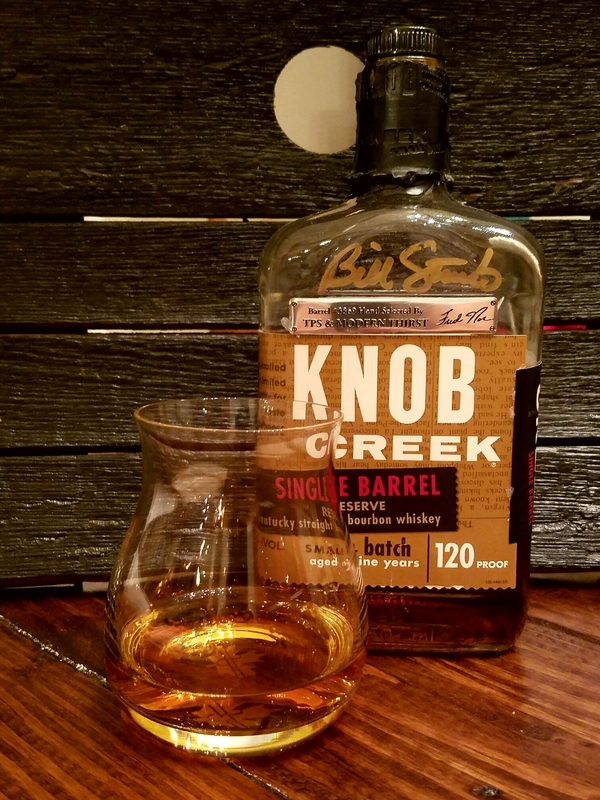 Overall, this is a fantastic private barrel pick of what is always a great bottle. It’s well worth the ~$45 price tag. Get it before it’s gone, it’s spooky good!